We are thrilled to have received $20,000 from the Pratt Foundation to further the work at Gibson Island, Aquarium Passage at Murarrie. Visy is owned by the Pratt family whose Pratt Foundation has supported thousands of philanthropic causes since it was first established by Richard and Jeanne Pratt in 1978. Visy team members helping to revegetate Gibson Island, Murarrie. Visy has been a big supporter of our Gibson Island Rehabilitation Project that kicked off earlier this year. 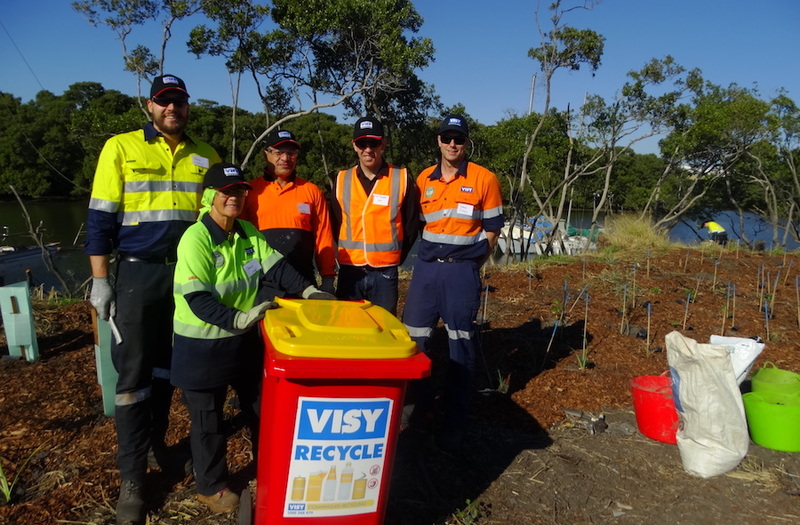 With their paper mill and recycling divisions located at Gibson Island, Visy team members have been providing hands-on assistance to the project. Their team members have been helping to establish plants, participating in litter clean-ups, providing rubbish and recycling bins and delivering health and safety inductions at our activities. B4C Catchment Manager Wayne Cameron has praised the generosity of industries who have supported the project. 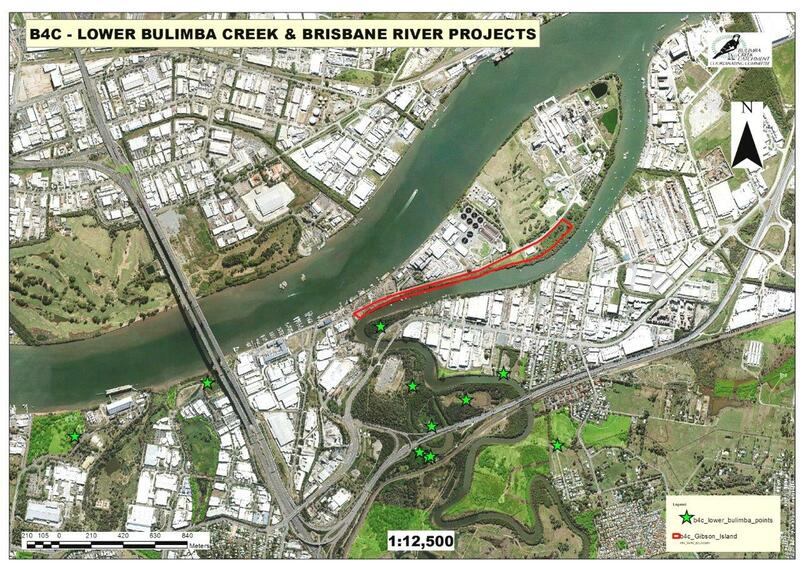 These have included major funders Visy, Port of Brisbane, QBH and Coca-Cola Landcare Australia. “To complete the initial 1.3 ha cleared site at Gibson Island in 2019, funding had to come to our rescue. Thanks to Visy’s environmental and corporate responsibility 2019 no longer looks like ‘mission impossible’.” Wayne said. The project has been in need of funding to help take it to the next level. This support from Visy will allow us to build on the generous support we’ve received from industry so far. It’s also a brilliant example of environment and industry working together for waterways, wildlife and people. Gibson Island, Murarrie, Pratt Foundation, Visy. The Map: The Red area extends beyond the initially cleared 1.3ha. The whole Conservation southern buffer of Gibson Island (owned by Dept of Natural Resources and Mines) is about 6.5ha. So there is much to do in the years ahead. The Green stars show projects completed by B4C in the past. included are Hemmant Flying Fox Colony, The Oxbow Wetlands, Oxbow South, Bill Benham Reserve and Doboy Parade’s Hemmant Recreation Reserve. No rest for the wicked! This is a brilliant example of Industry and Environment Groups working together to rehabilitate previously drastically disturbed land as habitat for endemic flora and fauna. A consequential outcome is a more pleasant landscape for the health and social benefit of people.